Illuminate the hallway with our Amish Hardwood Hall Mirror. This lovely mirror provides you with the perfect spot to check your reflection as you head out the door. 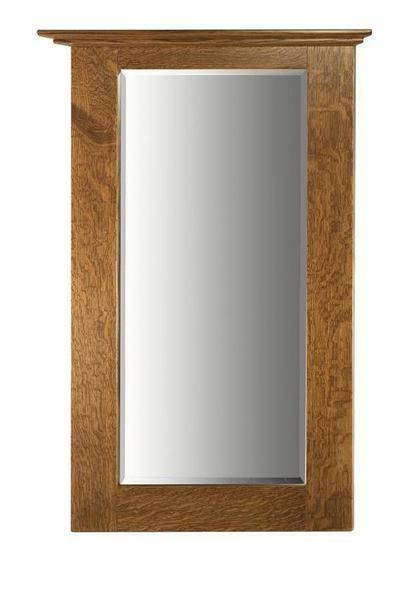 Framed in the solid wood of your choice, this hall mirror will grace your home for years to come. Enjoy all the benefits a mirror can bring to the room. Be sure to review our line of Amish Mirrors to find the one you like best. All of DutchCrafters Amish furniture is handcrafted to reflect your personal taste and style. Call one of our Amish Furniture Specialists today at 866-272-6773 with any questions or visit our DutchCrafters Furniture Store in Sarasota, Florida to experience Amish furniture in person. 28" x 3" x 43.5"